Although it’s possible to get all of the minerals and vitamins needed from a nutrient-dense diet and strategic food selection, research suggests many women have at least one type of nutrient or vitamin deficiency – if not more than one. BioThrive Sciences offers contract manufacturing and private label women’s health supplements. As the premier custom supplement manufacturer, we offer custom formulations where you can choose the ideal supplement composition. All of our women’s health vitamins are carefully manufactured in our sanitary facility with natural ingredients. A, C, and D are antioxidant vitamins that work to fight diseases of the brain, skin, eyes, and heart. Antioxidant vitamins also work to fight aging. Vitamin D is key for skeletal health, bone health, preventing mood disorders, mental functions, and hormonal balance. Vitamin K works to help build and maintain healthy bones and blood clotting. These women’s health vitamins also prevent heart disease, which is the number one cause of death in women in the U.S.
B vitamins – such as folate and vitamin B12 – are essential in preventing fatigue, boosting a woman’s metabolism, and improving cognitive functions. Anemia and iron deficiency are the most prevalent nutritional deficiencies in the world, particularly for young women. Compared to other age groups, women aged 20 through 39 have the lowest iodine levels in their urine. This key nutrient plays several roles throughout the body and is detected in every organ and tissue. Magnesium activates more than 300 enzyme reactions in the body. This vital women’s health nutrient plays a role in muscle contraction, nerve transmission, energy production, blood coagulation, cell formation, nutrient metabolism, and bone formation. Older women do have a greater risk for magnesium deficiency. Calcium offers protection for some of the most prevalent threats to women, including diabetes, osteoporosis, heart disease, and cancer. Omega-3 fish oil contains both eicosapentaenoic acids (EPA) and docosahexaenoic acid(DHA). These omega-3 fatty acids have a significant role in managing and preventing heart disease, lowering blood pressure, slowing the development of plaque in the arteries, and reducing triglycerides. At BioThrive Sciences, we understand that the women’s health vitamins you offer to your customers are vital to their well-being and health. Because of this, we always provide the highest-quality ingredients available based on your own custom formulations. Our production specialists will help you create a top-quality formula that caters to the specific needs of your customers. Next, we’ll design a compliant private label that speaks directly to your target market with custom imagery. 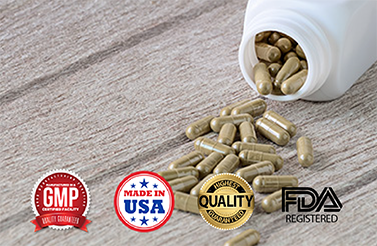 Whether you need women’s health vitamins in powders, capsules, gummies, or any other form, we will help you create the best and most suitable women’s health vitamins for your market. For more information about our services, contact us at 844-263-3657 or online.